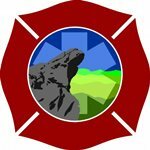 The Blowing Rock Fire Department first began organizing in 1923 and has been providing fire protection in Blowing Rock since 1926. In 1974 Blowing Rock Rescue Squad was formed to provide emergency medical service in the community. With the merger of these two organizations in January 2009, Blowing Rock Fire & Rescue became the new entity providing fire protection, performing rescue operations and administering emergency medical care at the Paramedic level. Blowing Rock Fire & Rescue is committed to fire and injury prevention and our members are actively involved in our community. The Blowing Rock Police Department is committed to developing and maintaining positive relationships within the community through dedicated service, professionalism, teamwork and a proactive stance against crime. Together with our community we will sustain our low crime rate and foster a sense of safety and well being. 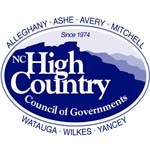 The multi-county planning and development agency for the seven northwestern North Carolina counties of Alleghany, Ashe, Avery, Mitchell, Watauga, Wilkes and Yancey. Rick Herndon, Executive Director. High Country Workforce Development Board is a business-led organization serving as the catalyst for workforce development in Alleghany, Ashe, Avery, Mitchell, Watauga, Wilkes and Yancey Counties. 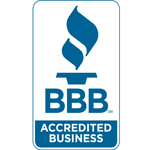 Offices of Manager, Clerk/Finance Officer, Utility Billing/Collection, Tax Collections, Personnel, Municipal Services, misc. Monday-Friday 8:30 to 5:00.